It may not have the added flash usually displayed by other casino sites, but GoWin Casino’s simplicity is one of its many benefits and something we at Place a Bet Online admire. With quaint cartoon banners and easy to follow labelling, this is a site for real casino players who hate fuss and merely want to game! The fact that it’s a mobile casino means that you can play when and wherever you like. You simply need an iPhone, Android or Tablet device to have access to GoWin’s huge range of casino games, including blackjack and incredible slots such as Plucky Pirates and Mummy Gold. •	Twitter, Facebook, Google+ and You Tube pages. With so many mobile casinos to choose from, it’s sometimes difficult to pick one. 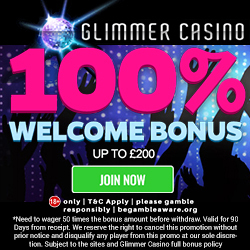 But wait until we tell you that you’ll receive £5 bonus credit from GoWin Casino simply for registering. This credit means that you can begin playing straight away and enjoy test driving the site, before adding any of your own money. Cashback Tuesdays – GoWin Casino love to reward loyalty whether you’re winning or losing, through their cashback Tuesdays. Every Tuesday you can claim 10% back on any losses up to £100, with any extra funds being added to your account instantly. Happy Hour – Everyone loves a good happy hour and with GoWin Casino you’ll enjoy not just one but an exciting three! Between 2pm and 5pm, every Monday to Thursday you can claim 25% up to £50 for depositing a minimum £10. Although this VIP Scheme is invitation only when you’re lucky enough to become part of the elite, you can enjoy a variety of extra perks. 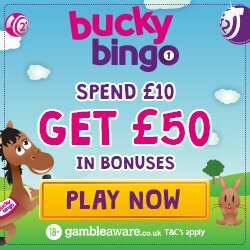 Some of these amazing bonuses include monthly cashback, deposit bonuses, exclusive prize draws and a dedicated VIP Manager. For the social media fans out there, make sure you check out GoWin Casino’s Twitter, Facebook, Google+ and You Tube pages for the latest gossip and promotions. 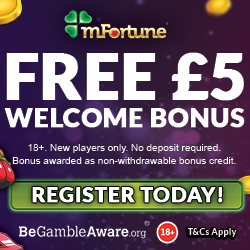 So if you’re ready for £5 credit and lots of deposit bonuses, then make sure you head over to GoWin Casino.